Hey, Skylanders fans! 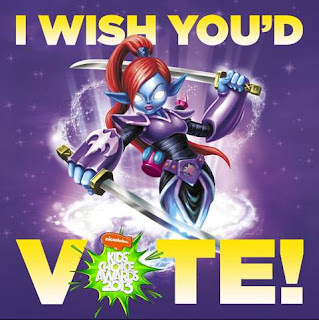 We are excited to share that Skylanders Giants (my kids most FAVORITE game) is nominated for Nickelodeon Kid’s Choice Award in the Favorite Video Game category! Now, we need our most loyal friends and fans to help Tree Rex, Cynder and Jet-Vac win the coveted surfboard prize. You can help make sure that they win by voting! Who is your favorite Skylanders or Skylanders Giants Character?